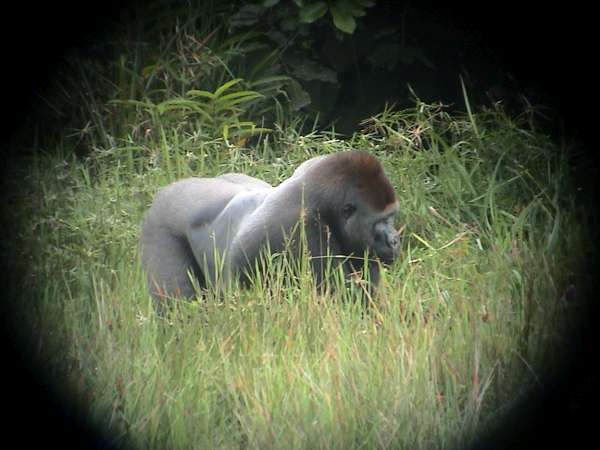 Bai Hokou camp, the departure point for gorilla tracking, and some of the other forest activities, like the Bai Walk, Mangabey Tracking, and some bird watching opportunities, is an hour’s car-drive from Bayanga (35 km). 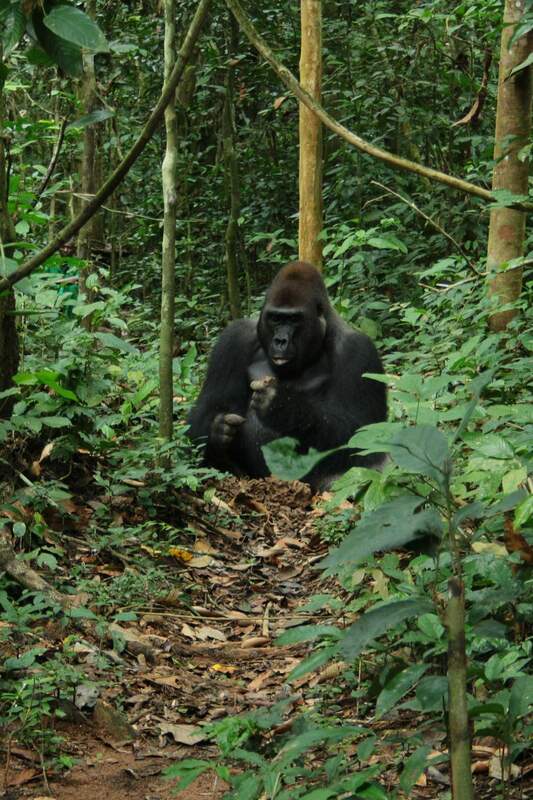 All forest activities are accompanied by trained guides who speak French and some also English. 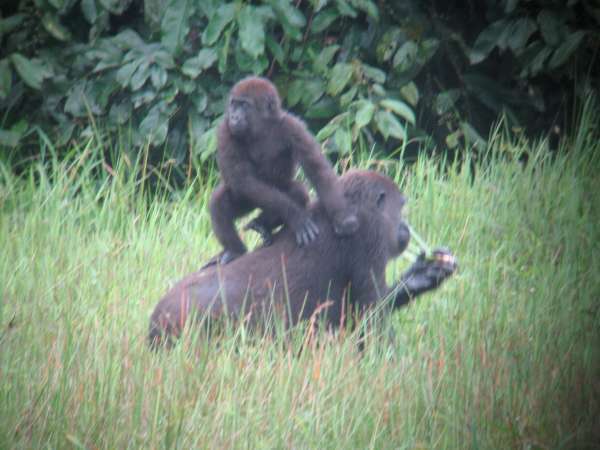 At present there are 2 groups of Habituated Gorillas in Dzanga Sangha that tourists may visit. 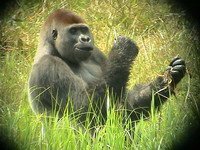 Each Gorilla group has a maximum of 2 visits per day, and each visit has a maximum of 3 tourists making a total of 12 persons able to track gorillas in any one day. 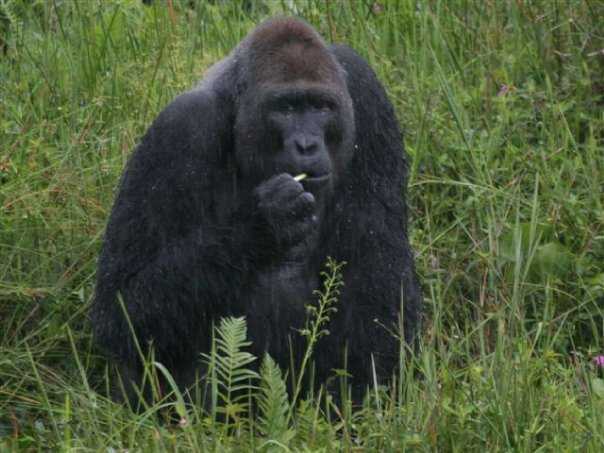 Visitors are informed of the rules surrounding gorilla visits before leaving the camp, for example no one with diarrhea, a cold or other transmittable diseases is allowed to participate, as gorillas are susceptible to human diseases. 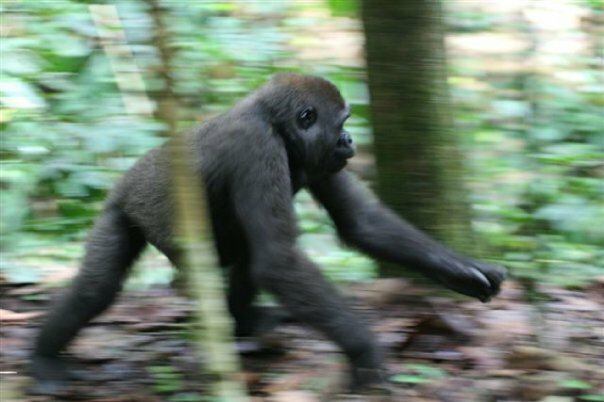 The walk to find gorillas can be fairly strenuous and a reasonable level of fitness is required. It is also preferred that groups divide themselves up according to their level of fitness so as to walk at around the same pace. 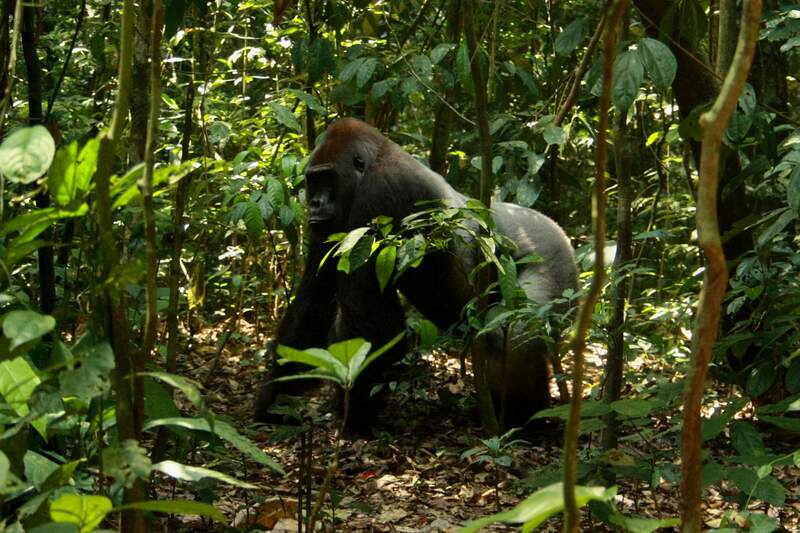 Contact with the gorillas can be very close, sometime closer than the recommended standard of 7 meters due to the dense vegetation in places. 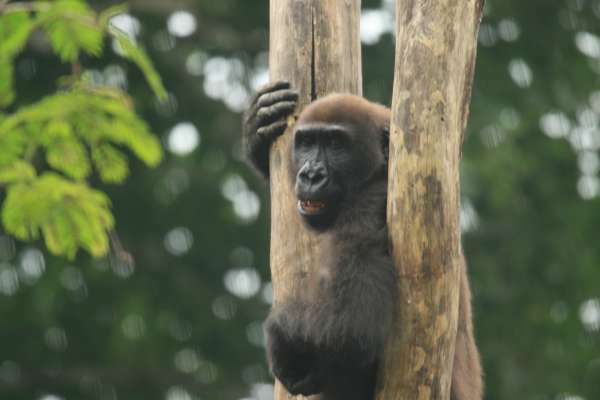 And the time allowed with each visit is strictly 1 hour.